Buffalo Pottery, today one of the largest US producers of hotel and institutional ware, shares an illustrious past with a bar of soap. Larkin Soap, immensely popular at the turn of the previous century, founded Buffalo Pottery to produce wares used as premiums given with the soap. 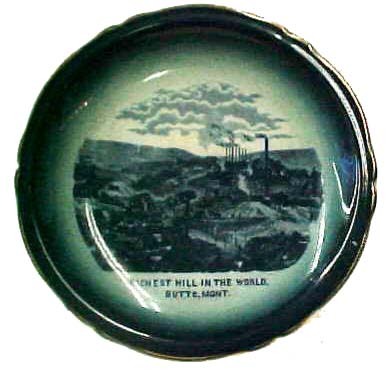 In later years the company produced commemorative plates, institutional wares for railroads, hotels, and the armed forces. They also produced art pottery suce as the famous Deldare Ware, so beloved of today's collectors. Deldare Ware was probably conceived as a Larkin Soap premium, but in fact was only offered one year, in the Larkin Fall/Winter catalogue of 1922-23. Response to the premiums was lukewarm perhaps because the black & white illustrations could not do justice to the colorfully painted scenes. Though rare (cost dictated discontinuing the line after a relatively short time) and expensive, many collectors search out Deldare, as well as other Buffalo lines that carry Deldare decorations. One avid collector in Washington State began her search for Deldare only five years ago and now has a collection of between forty and fifty pieces, as well as examples of Buffalo's Blue Willow (the first produced in America) and a set of fowl plates with platter. She even looks for Cecil Aldin prints; on a wall in her house an early 20th century Fallowfield Hunt print is framed in Arts & Crafts oak hangs over Deldare pieces showing the same scene. 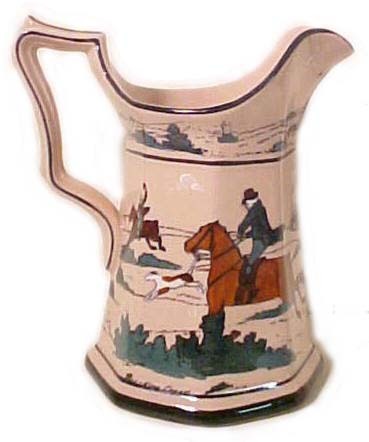 Nearly all of the early Deldare ware was produced between 1908 and 1909. In 1911 a completely different type of ware called Emerald Deldare was produced for that year only. Its rarity makes Emerald Deldare the most highly prized of all Buffalo China. Another art line followed; called Abino Ware, it wa produced in the same shapes as Deldare, but the effect was entirely different. 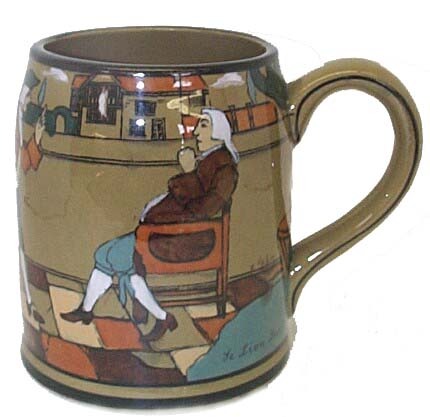 Abino ware used nautical themes with much softer lines, and predominant colors were rust and pale green. Many railroad services, including the one with the picture of 'Chessie' the cat made for the Chesapeake and Ohio Railroad, were ordered from Buffalo. 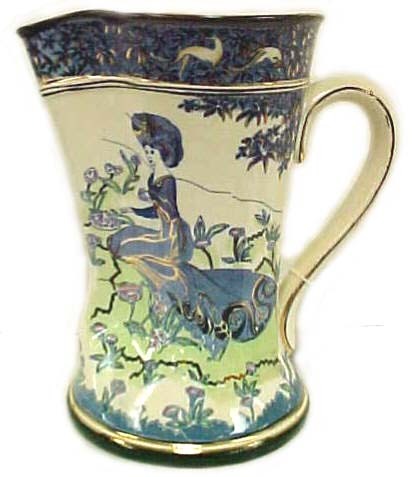 The company also produced a series of Dr. Syntax plates reminiscent of early blue and white Staffordshire, and even made a replica of the famous Portland Vase, very much in the style of the Wedgwood efforts.